What do you think about mouth guard? 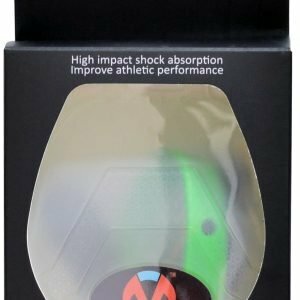 Is it really important to wear on contact sports? In our opinion, this mouthpiece is, indeed, important to put on. As we know, most sports games require players to become very active. Each player can bump into one another. Hence, it an s not uncommon thing to see some of them to get injured in some body parts, including the head area. Now to show you how important it is, we have provided 10 sport games here and some reasons why you need to wear a mouth guard on each sport. According to the American Dental Association, wearing a high quality sports mouth guard is mandatory for the following 10 sports. Most of the time we rarely see basketball players to wear a mouth guard. Some people might think there is no need for them to wear such thing since they are professional. In this game, there is one thing called as rebounding. This is the most physical part where the accident is likely to happen. As an example, one player’s elbow may hit to the mouth of the other’s as he is trying to throw the ball to the basket. This incident may cause bleeding or even losing one or a few teeth. There is also another incident when a player got hit by the ball to the face. Have you ever watched American football? If you have, then you must realize how aggressive this sports game can be. This is a game where some players will tackle on the opponent who has the ball. Hence, it is not surprising to see some of them got injured, either it is mild or severe. But, they are wearing a helmet, so why do they need to wear a mouth guard? This protective gear actually aims to prevent their tongue to get bitten from the hard tackling. 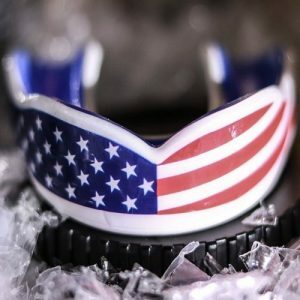 For your information, American football players have their own special mouth guard. It has a strap attached to the helmet so they can wear it right away in the game. In MMA or kickboxing, injuries are common things to happen. Every player often gets punched or kicked in the face. So, there is no need to tell that wearing a mouth guard in this sport is crucial. There are several benefits you can get from wearing it. Two of them are protecting your teeth and brain damage. Some of you may be confused about the relation between the gear and brain. Let us explain it to you briefly. When our jaw got hit, the impact will connect to our brain. When that happens, it will cause the brain to bounce. Consequently, we will lose our consciousness. But, you can maintain your consciousness by biting the mouth guard. It will keep your jaw in place. Rugby is a similar game with American football. It involves running and tackling a lot. The only difference is that rugby players do not wear protective equipment as complete as the American one. So, that makes them become more vulnerable to injuries. Since they wear no helmet at all, there is no question that they, at least, need to wear a mouth guard. This can provide them a protection to the head and dental area. 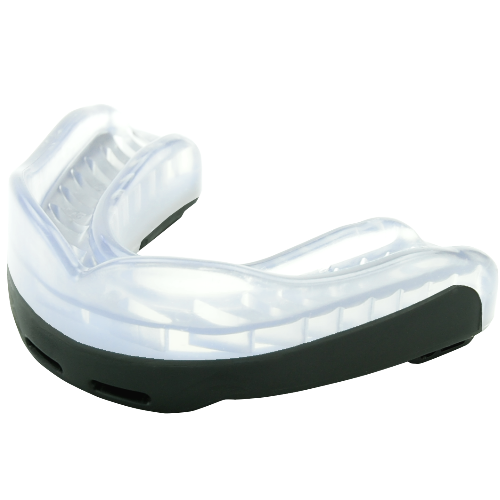 Mouth guard is also important to wear on hockey game, whether it is the ice or field type. Particularly, field hockey players will need it more. Unlike the ice hockey players, the field ones (except for the gatekeeper) has no protection gear to protect them, especially the head part. So, they have higher risk to get injured. That’s why they have to wear a mouth guard before playing. In ice hockey, although they have complete protection, mouth guard is still important. They may got their head slammed to the ring wall or fall onto the ice floor. This can also reduce the impact whenever the hockey ball or stick hit them to the head. When we are talking about Brazilian Jiu-Jitsu, we often think of typical injuries like sore joints, dislocation, bruising, etc. But, you must remember that this sports game can cause injuries to the head part too. That’s why it is necessary to put on a mouth guard. 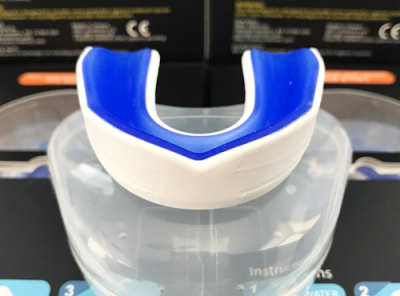 Besides as a protection, wearing a mouth guard can provide you a proper breathing technique. Some people actually say it makes them hard to breathe. But, by wearing it, it will make you focus on nose breathing, which is said to be better than mouth breathing. There is also an evidence shows that breathing through your nose can make a better blood circulation. The better the circulation is, the better performance you can do in martial arts. Muay Thai is a Thai boxing which involves a lot of techniques like uppercut, jab, flying knee, and many others. Most of the techniques can hurt any body parts, including the face. Wearing a mouth guard is not simply to prevent dental injuries. It can also endure the impacts toward the head so we will not get a concussion at ease. Furthermore, it can also improve breathing system like we mentioned before, which leads us to performance improvement. In Taekwondo, a mouth guard is an equipment we must not forget to wear. This sports game is mostly about jumping and kicking. The kicking part is usually targetted to the head of the opponent. 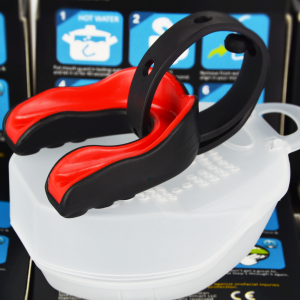 Combined with a protective helmet, the mouthpiece can provide a better protection. It works as a cushion to our teeth and a protection to our jaw point and soft tissue. It can help to reduce concussion as well. Lacrosse is a sports game played in the team which uses a ball and long-handled stick with net known as Crosse. Similar to American football and ice hockey, the players wear a protective helmet in this game. Nevertheless, a mouth guard is still a must-thing to wear. There is a risk for any players to get hit by the ball or stick to the head. This gear and the helmet will reduce the impact. Soccer is one of the most popular sports games in the world. Most of us have been familiar with the injuries that the player got in the match like ankle sprain or jones fracture. Most injuries occur at the body parts below the head. However, that is not an excuse not to wear a mouth guard in a soccer game. There is still a risk of getting hit to the head either by the ball itself or other player’s knee or head. From the explanation above, we can conclude that mouth guard is important to most sports games. Now we know that it can offer us protection to our mouth and head. Moreover, it can also improve our performance (in mixed martial arts only) too. Thus, if you are doing any of these sports, you better include a mouth guard into your protective equipment. Why Oral Mart Clear Mouth Guards? Do you know mouth guard? Have you ever used this sport gear? 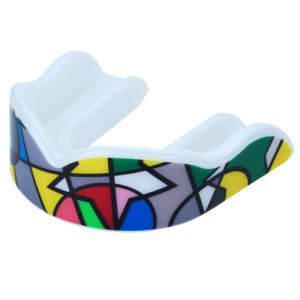 When it comes to mouth guard, it belongs to the important gear for the athletes, especially the athletes who take the contact physical sport, like boxing, MMA, and the others. 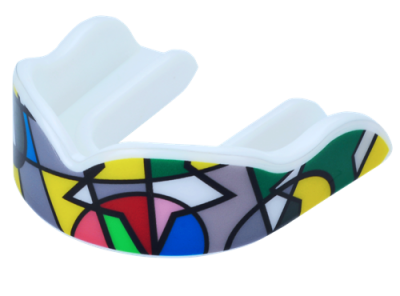 However, mouth guard is not only used for the sport with the direct contacts but also the other sports which are also used this type of mouth guard including using mouth guard for basketball, like Stephen Curry has ever used. 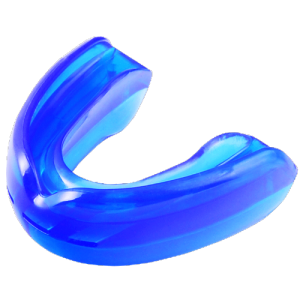 Besides that, when it comes to the mouth guards, there are several types which can be chosen and one of them is clear mouth guard. 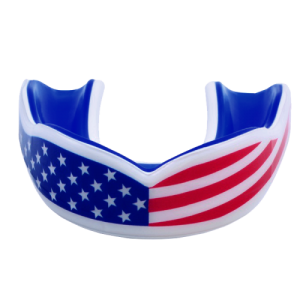 Like the other types of mouth guards, including boil and bite mouth guard, clear mouth guard can also be used for sport both contact sport and non-contact sport. 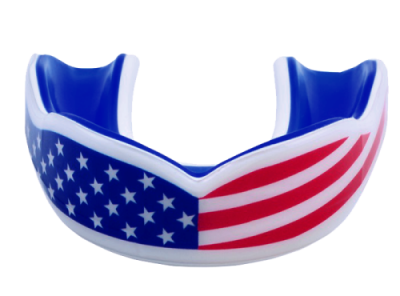 So far, this type of mouth guard is also being so popular among the athletes. Here is a short description about clear mouth guard adapted from webmd. 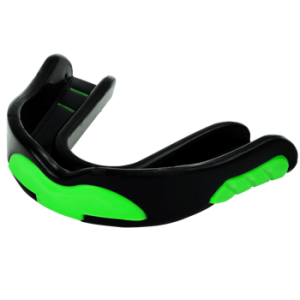 As mentioned in the previous section that, a clear mouth guard can be used for sport. However, each sport has its own characteristics regarding the clear mouth guard. 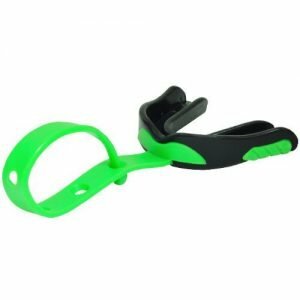 There are clear hockey mouth guard, clear mouth guard football, and the other types of mouth guards which are specially designed for the specific sport. As having sports will cause many physical accidents, using the mouth guard especially clear mouth guards belongs to the important things. One of the advantages using the mouth guard is minimizing the risk when there are injuries on the tongue, lips, and the soft tissues in your mouth. Besides that, the clear mouth guard is also helpful to avoid tooth loss, broken teeth, and the other injuries related to the teeth. Who needs Clear Mouth Guards? 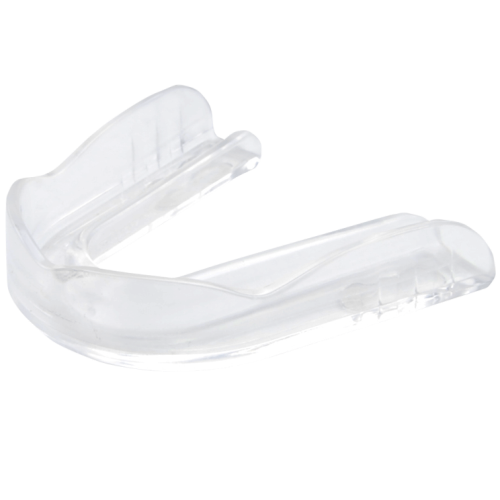 Actually, clear mouth guards can be used for anyone, both children and adults. It can be used for anyone who plays the contact games, including ice hockey, basketball, field hockey, lacrosse, soccer, and football. 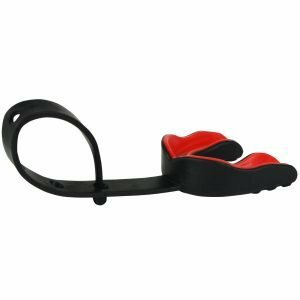 Nevertheless, the people who practice non-contact sport or even recreational activity can also use this sports gear. It is needed because all of those sports may also pose the risk of injuries, especially on the mouth. 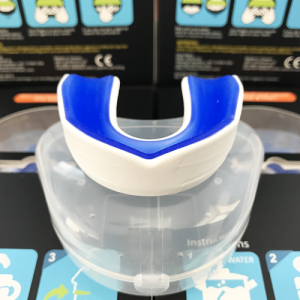 Therefore, using mouth guard, especially clear mouth guard is highly recommended for those who practice both contact sport and non-contact sport. Besides that, both adults and children also can be used a mouth guard for the night grinding in order to prevent the damage of the tooth. 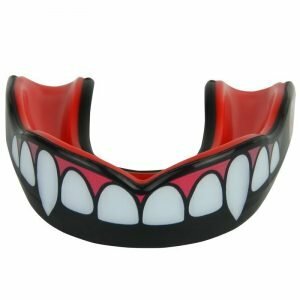 Is it Possible of Using a Clear Mouth Guard with Braces? The answer is yes since the injuries will damage the braces. 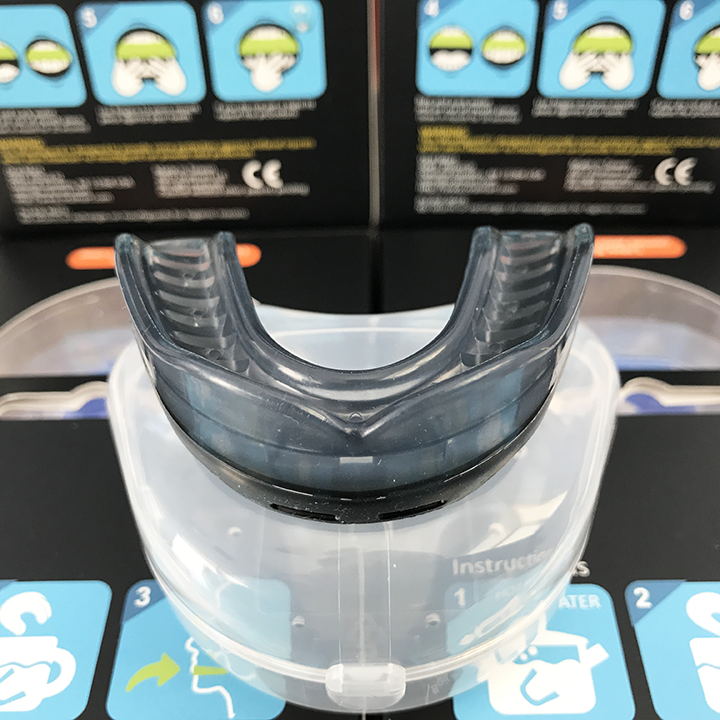 If you want to use clear mouth guard braces, it is highly recommended to use the fitted mouth guard. 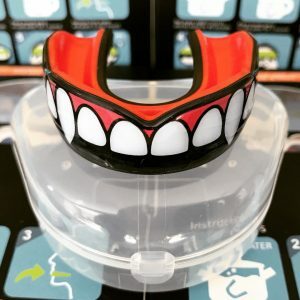 To do this, you can see the doctor or orthodontist for asking the best and appropriate mouth guards which deliver the maximum protection for your featured mouth work. However, you need to memorize that you should avoid using orthodontic retainers when you are playing the contact sports which provide the high risk of mouth injuries. Fits perfect. Not too much material. Excellent customer service. They were very keen in customer satisfaction. I am a happy camper! Easy to breathe and drink with it. I wore it to Jiu Jitsu training on the same night and actually forgot I had it in, it was that comfortable. Very sturdy as well.Highly recommend!! 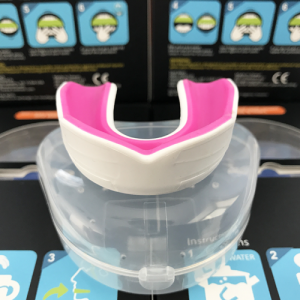 Great and easy to use hassle free mouth guard. I really like it because it’s easy straight out the box. It’s a winner!! Daughter need this for lacrosse and works perfect!! Exactly as expected fast shipping great fit. Superb protection. Has a great custom fit like those which cost much more !!!! Satisfied customer ! Instructions easy to follow to form to your teeth. Took me two attempts to get a perfect fit for the first time in using a mouth piece. Easy to breathe while in place. Provides a solid and more substantial brace than a friends mouth guard. Son loves it for his sports. Best Sports Mouthpiece I Have Ever Used! Thumbs Up! This champ looks and feels like a high-quality mouthpiece. Fit as expected and would definitely buy again. Make sure you heat it up in boiled water as instructed on the back of the packaging before use to get a great fit and make sure you align it correctly when biting down.